The House Judiciary Committee passed HR 38 - Concealed Carry Reciprocity Act of 2017 - yesterday on a 19-11 vote. There were a number of amendments offered. Many of these amendments were meant to gut the bill. Of the 22 amendments offered, only three were adopted and all came from Republican members of the committee. The bill now moves to the whole House of Representatives for consideration. The first amendment was in the form of a committee substitute offered by Chairman Bob Goodlatte (R-VA) which added a third section to the bill concerning off-duty and retired sworn law enforcement officers. The amendment would allow these individuals to both carry concealed and discharge weapons in school zones. The second amendment that was accepted was offered by Rep. John Rutherford (R-FL). His amendment clarified that nothing in HR 38 would prevent a law enforcement officer from "conducting a brief investigative stop in accordance with the Constitution of the United States" if they had a reasonable suspicion to the violation of any law. This passed on a voice vote. The final amendment that passed was from Rep. Daryl Issa (R-CA) and concerned the carrying of concealed firearms by Federal judges. It allows Federal judges to carry concealed in any state so long as they are not prohibited from receiving a firearm. In other words, if Justice Ginsberg can pass a NICS check, then she could carry a concealed firearm not that that would be likely. The whole list of amendments and their disposition is on this page on the House Judiciary Committee website. The Firearms Policy Coalition is headquartered in Sacramento, California. Being as they are in one of the bluest states with some of the worst gun laws, they are hoping for passage of HR 38. However, they want to make it better for those who live in states like California, New York, New Jersey, etc. They also want the bill to include those living in Federal districts like DC, commonwealths like Puerto Rico, and other territories like the Northern Mariana Islands. Many legal scholars agree with the FPC that the bill would be on stronger Constitutional grounds if it was based not on the commerce clause. The FPC would like to see the right to carry nationally be based upon the Second Amendment's right to keep and bear arms. They hold that this would reinforce the rulings in Heller and McDonald. SACRAMENTO, CA (November 28, 2017) — Yesterday, Firearms Policy Coalition (FPC) sent a second letter regarding H.R.38 (the Concealed Carry Reciprocity Act of 2017) to bill sponsor Rep. Richard Hudson (R-NC) and House co-sponsors. The letter says the pro-gun bill could potentially “leave law-abiding people exposed” because of “a byzantine patchwork of state and local prohibitions” and suggested solutions to 6 individual legal problems in the bill’s text. 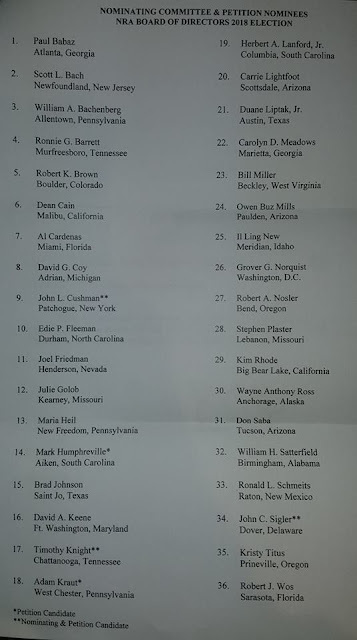 A copy of FPC’s letters supporting H.R.38 can be viewed or downloaded at http://bit.ly/support-hr-38. Gun owners who wish to send letters supporting H.R.38 may use FPC’s free Grassroots Action Tools at http://bit.ly/support-hr-38. FPC has also established #OurGunVote, a grassroots campaign to urge pro-gun bill passage in the House and Senate, available at http://www.ourgunvote.com/. H.R.38 is scheduled to be next heard by the House Judiciary Committee at 10 a.m. on Wednesday, November 29. One of the speakers at this year's Gun Rights Policy Conference held in Dallas was Shaneen Allen. She made a plea for the passage of HR 38 so as to protect anyone else from having to go through what she did when she crossed into New Jersey. As attorney Evan Nappen who has handled multiple firearms cases in New Jersey noted yesterday on Facebook, passage of national reciprocity will change that state from being the "North Korea of CCW". Nappen was the attorney for both Shaneen Allen and Brian Aitken. Rep. Richard Hudson (R-NC) specifically mentions that Allen case in his release announcing that his bill is scheduled for markup today. “For me and the vast majority of Americans who support concealed carry reciprocity, this is welcome progress. I want to thank Chairman Bob Goodlatte for his strong leadership to protect our Second Amendment rights. I will continue to work with my colleagues and President Trump to pass this common sense legislation to protect law-abiding citizens." Concealed carry reciprocity is one of the most important pro-Second Amendment measures in Congress. Currently, the patchwork of reciprocity laws and agreements between states is confusing and has caused law-abiding citizens like Shaneen Allen to unwittingly break the law and suffer arrest and detention. Even the most careful and knowledgeable concealed carry permit holders find it difficult to navigate the current maze of state and local concealed carry laws. H.R. 38 is a common sense solution. The bill, which is supported by major pro-Second Amendment groups and has 213 cosponsors, would allow law-abiding citizens with a state-issued concealed carry license or permit to conceal a handgun in any other state that allows concealed carry. It would also allow law-abiding residents of Constitutional carry states the ability to carry in other states that recognize their own residents’ right to concealed carry. In District of Columbia v. Heller (2008), the Supreme Court ruled that “the inherent right of self-defense has been central to the Second Amendment right,” which is “the individual right to possess and carry weapons in case of confrontation.” This fundamental right does not stop at a state’s borders and law-abiding citizens should be able to exercise this right when crossing state lines. In addition, Article IV, Section 1 of the Constitution states, “Full faith and credit shall be given in each state to the public acts, records, and judicial proceedings of every other state. And the Congress may by general laws prescribe the manner in which such acts, records, and proceedings shall be proved, and the effect thereof.” This is the clause that allows a driver’s license to be recognized across state lines. Contrary to the misinformation critics spread, under H.R. 38, states would retain their authority to enact time and place restrictions on where people can lawfully carry in the state. In addition, the bill would not make it any easier to buy a gun. It has nothing to do with the purchase of guns, it would not alter access to guns, and it would not change the federal law requiring background checks. The American people understand these facts. That’s why an overwhelming majority of Americans support concealed carry reciprocity – 73% according to a recent New York Times survey. The House Judiciary Committee is holding its markup hearings on three bills this morning at 10 am EST. HR 38, the Concealed Carry Reciprocity Act of 2017, and HR 4434, the Fix NICS Act of 2017, will be two of the bills included in the markup. The other bill concerns amber alerts on Indian reservations. Passing national reciprocity was one of the promises that President Trump and the Republicans made to the gun rights community in 2016. Rep. Richard Hudson (R-NC) introduced HR 38 on the first day of this session of Congress and we have been waiting (and waiting) for any movement on the bill. 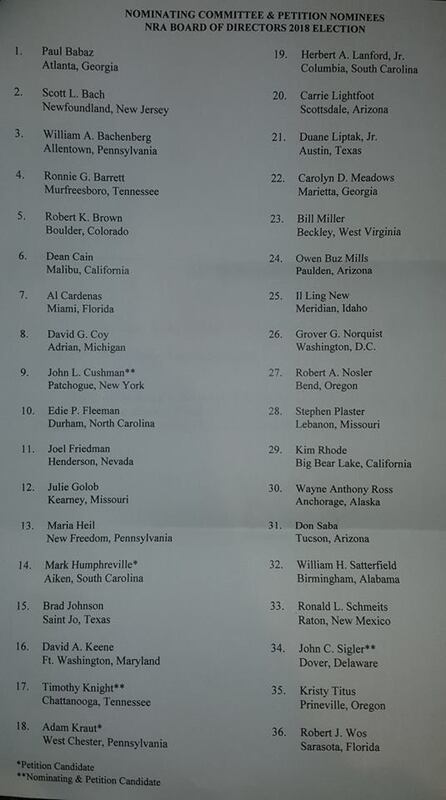 The bill currently has 210 Republican and 3 Democrat co-sponsors. HR 4434 and S. 2135 are identical bills introduced to correct some of the problems with the reporting of data to the FBI for inclusion in the databases used to conduct the NICS instant background checks. Both bills were introduced after the murders at the First Baptist Church of Sutherland Springs. In that instance, the murderer had convictions on his record that made him a prohibited person. However, the US Air Force failed to report his convictions to the FBI and the murderer was able to buy multiple firearms after passing multiple NICS checks. The House bill is sponsored by Rep. Henry Cuellar (D-TX) and the Senate bill by Sen. John Cornyn (R-TX). There is bipartisan support for both of these bills. You can view the hearings live on YouTube. When, Oh When, Will The SCOTUS Actually Defend The Second Amendment Again? I am disappointed in the US Supreme Court. That's nothing new for either me or most people regardless of their political leanings. My disappointment stems from the absolute refusal by the Court to hear any and all Second Amendment cases since 2010 when they ruled in McDonald v. Chicago. The latest case to bite the dust is the Maryland case of Kolbe et al v. Hogan et al which challenged that state's ban on ARs, AKs, and standard capacity magazines. 17-127 KOLBE, STEPHEN V., ET AL. V. HOGAN, GOV. OF MD, ET AL. The motion of Edwin Vieira, Jr., et al. for leave to file a brief as amici curiae is granted. The petition for a writ of certiorari is denied. This case was a loss at the District Court level with an absolutely ridiculous opinion by Judge Catherine C. Blake which was then followed by a 2-1 win in the 4th Circuit that got overturned by an en banc ruling affirming the District Court. If it is true that President Trump will have the ability to appoint up to 40% of the Federal bench with conservative judges, it can't come soon enough. Moreover, I hope they aren't in the mold of Judge Harvey Wilkinson either. When politicians want to announce news or launch a new policy and they don't want it to get a lot of attention they release it without fanfare on either a Friday afternoon or the afternoon before the beginning of a long holiday weekend. Such is the case with the California Department of Justice and their newly announced "assault weapons" regulations. The 52 pages of the new regulations can be found here. The Firearms Policy Coalition challenged their rulemaking in the past and won based upon how they sought to implement them without public comment. According to their release below, I think it is reasonable to expect more challenges to these regulations and the implementation of them by the California Department of Justice. Once again, the California DOJ and Attorney General Xavier Becerra have used 11th-hour tactics to push its anti-gun agenda, this time by releasing new proposed “assault weapons” regulations right before a major holiday. Last December, the California DOJ submitted its first attempt at “assault weapons” regulations under the Office of Administrative Law (OAL) “File & Print” process, which means that the DOJ believed the regulations were not subject to public notice or comment. However, thousands of FPC members and Second Amendment supporters sent letters opposing the secret process through FPC’s grassroots tools and, without further comment, the DOJ withdrew the regulations near the end of OAL review period. Then, in May, the DOJ re-submitted regulations under the same “File & Print” process. Those regulations were summarily rejected by OAL a little more than a month later. Following that, the DOJ submitted a virtually-identical set of regulations under the “File & Print” process, which OAL approved in July. Now, the Department is attempting to promulgate a new regulation to apply the July regulations to all aspects of the State’s “assault weapons” laws, including for purposes of criminal prosecutions. FPC’s attorneys are hard at work reviewing the regulations and have been instructed to take every appropriate legal action to defend California gun owners and individual liberties. Earlier this year, FPC was forced to sue the DOJ over the Department’s actions to block access to public records and a previous version of the regulations. I have been doing these Black Friday posts annually since 2010. The state of the firearms industry is a bit different this year. After many years of double-digit growth, it appears the bubble has burst. In earlier years you would have been lucky to find an AR-15 upper for $400 or so. Now you can get the whole AR for that price. Let's just say it has not been a great year for the firearms industry in general. The thought that we would have a President Hillary and you better grab while grabbing is good was crushed late on the night of November 8th when Donald J. Trump was elected president. Dennis Badurina of Dragon Leatherworks who also owns a small gun store in Tennessee has been pointing out the state of the retail firearms industry with his posts on his Facebook page for a number of months. As Dennis notes, the industry is in freefall and is in a state of contraction. I am going to make the assumption that the industry will be using Black Friday and Cyber Monday as a major tool to rid itself of excess inventory. If you are in the market for anything, I think you should find some good deals with careful shopping. As with last year, I have decided not to reinvent the wheel and will point out some of the better aggregations of Black Friday/Cyber Monday sales. I will be adding links to individual companies as I go through the weekend when I find something that might not be covered elsewhere. Starting off, there is the Black Friday page of Slickguns.com. It has links to the sales at all the major big box sporting and outdoor stores. Crowd-sourcing is a great way to put many eyes together to find the deals. The /gundeals subreddit page of Reddit is one such place. They have a Black Friday megathread going that has a little bit of everything. The other major crowd-sourced effort is on Arfcom. Their "official GD Black Friday" thread is at 6 pages and counting. The first thing that caught my eye there was $8 PMags. You can never have enough magazines! Now if I can find some less expensive CZ P-09 mags, I'll be in hog heaven. If you trend more towards the tactical, SoldierSystems.net has a dedicated post that is continually updated with Black Friday sales. As for me, I'm good on most things. However, I'm in the market for a good quality handgun safe/strongbox with a mechanical keypad. My granddaughter Olivia Grace is almost three and has a little sister due in April. Little fingers can get in places they shouldn't be and I want to protect against that. If you are in the market for an inexpensive tablet device, the Kindle Fire 7 is only $29.99. It was $33.33 last year. The Complementary Spouse uses her Fire daily to keep up with email, crafts, and family. There is a thread at 24hourcampfire.com with some more hunting related Black Friday specials. My friend Andy Langlois of Ching and Rhodesian sling fame is having a sale on all his products. Save 20 percent off all his products from Nov. 22 – 28 and 10 percent off all products from Nov. 29 – Dec. 24, 2017. I have both his belts, both style of slings, and even a couple of holsters by Andy and the quality is top-notch. Go to https://www.andysleather.com/collections/black-friday-sale. Use the code "BlackFriday". Steve Johnson at The Firearm Blog has posted what he considers his Top 5 deals in firearms for Black Friday. You can find it here. Tom Gresham of Gun Talk Radio has compiled his own list of holiday deals in firearms, ammo, and accessories. He has a special page for it. I should have gotten this out yesterday but better late than never. The Massachusetts Joint Committee on Public Safety and Homeland Security will be holding hearings on two bills that would seek to legalize suppressor ownership there. On Thursday, November 16th at 11:00 AM in Room A-1, the Massachusetts Joint Committee on Public Safety and Homeland Security will hear two bills which seek to legalize suppressor ownership in Massachusetts. S. 1317, and, S. 1340, would replace the current law that prohibits the possession of suppressors by non-manufacturers with language that allows private individuals to own and possess suppressors so long as they are not (1) prohibited persons; (2) committing a violent felony; (3) committing a crime of violence against a family member; or (4) possessing or selling controlled substances. The American Suppressor Association will be on hand to testify in support of these bills, but we need your help! If you are a Massachusetts resident, please attend the hearing to show your support. Also, using the contact form below, please contact members of the Joint Committee on Public Safety and Homeland Security and politely urge them to vote in support of S. 1317 and S. 1340. Do this, even if you plan to attend the hearing in person. View our entire blog post HERE and our testimony submitted to the committee HERE. I saw a note that firearm company stocks were up today on rumors of a deal on gun control. What spurred it was a tweet by Sen. Chris Murphy (D-CT) who is one of the most ardent gun prohibitionists in both houses of Congress. This leads to the question as to what gun legislation. Will it be merely a ban on bump stocks, a bill to improve NICS, or is it something more? Therein lies the question and I just don't have a good answer to that. I do know that the Senate Judiciary Committee was supposed to hold hearings yesterday on "Firearm Accessory Regulation and Enforcing Federal and State Reporting to the National Instant Criminal Background Check System (NICS)." However, that hearing has now been postponed to December 6th. The Wall Street Journal ran an op-ed commentary on the 100th anniversary of Communism this past Tuesday. It was entitled, "100 Years of Communism - 100 Million Dead." The article discussed the consequences of the Bolsheviks' turning Marxist-Leninist ideology into reality. Wanton killing of millions in the name of some bankrupt ideology is a bit more difficult when everybody, not just the elite, are armed. Mr. Wissner shows an astute understanding of why our Founding Fathers made the right to keep and bear arms part of the Bill of Rights. Veterans Day honors all those who served in any branch of the military. It was originally conceived as Armistice Day and was first celebrated on November 11, 1919. The significance of the date is that it was the day that the armistice was declared effectively ending World War One. I never served in the military but my dad and my Uncle George served in the Army while my Uncle John and Uncle B served in the Navy during WWII. I have many friends in gun rights community who are veterans and I salute them for never forgetting the oath that they took to support and defend the Constitution against all enemies, foreign and domestic. It has become a tradition on this blog to celebrate the birthday of the US Marine Corps. Even though I come from an Army family, I recognize their drive and dedication. 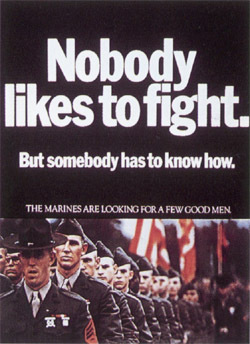 In years past, I've chosen old recruiting posters from the turn of the 20th century or the WWI or WWII era. This year's recruiting poster is much more modern and it was chosen due to its message in light of the church shooting in Sutherland Springs, Texas. Just like the poster above says, "Nobody likes to fight. But somebody has to know how." No one wants to imagine something like church shooting happening but it does and we need to be prepared. We need to know how to respond to unimaginable with lethal force and we need to know how to care for the injured. Get training and take a class in tactical first aid. Now back to the Marines. You can read the Commandant's Birthday Message here which celebrates among other things the Battle of Guadalcanal. The Citizens' Committee Right to Keep and Bear Arms issued a statement yesterday regarding the Sutherland Springs church shooting. They say the gun prohibitionists are stymied by the facts given that Stephen Willeford, the nearby hero who shot the killer, used an AR-15 to stop more carnage. I have to disagree with Alan Gottlieb on this. While rational people would look at the facts and say that the presence of a firearm prevented further bloodshed, the gun prohibitionists ignore facts. They work on emotion and the facts be damned. The fact that Mr. Willeford used an AR-15 was ignored yesterday when Sen. Dianne Feinstein and a coterie of her power and control mad colleagues introduced the Assault Weapons Ban of 2017. BELLEVUE, WA – As more facts emerge from the tragic Sutherland Springs, Texas church shooting, gun prohibitionists and their cheerleaders in the media are stymied in their efforts to exploit this case, the Citizens Committee for the Right to Keep and Bear Arms said today. “The perpetrator’s rampage was stopped by a law abiding citizen, using an AR15-type rifle,” noted CCRKBA Chairman Alan Gottlieb. “The shooter bought his guns at retail and passed background checks because the military failed to forward his criminal records to the National Instant Check System. Now it is being reported that the gunman once escaped from a mental health facility in New Mexico. Gottlieb noted that Texas Attorney General Ken Paxton told two different cable news networks that adding more gun control laws that penalize honest citizens and interfere with their right of self-defense is not the answer. “We stand in agreement with Texas Attorney General Ken Paxton who told both MSNBC and Fox News that Kelley had already violated laws against murder, so another gun law would not prevent this from happening,” Gottlieb said. “Sunday’s incident proves that the kind of gun controls advocated by politicians and anti-gun groups would have prevented the heroic actions of Stephen Willeford and Johnnie Langendorff, and may have allowed the shooter to continue his rampage. “Mr. Willeford’s heroic intervention and his pursuit of the wounded madman, with Mr. Langendorff, is exactly what the Second Amendment is about,” Gottlieb observed. “They followed the killer and kept him covered with a semiautomatic rifle until lawmen arrived. The Firearms Policy Coalition released a statement regarding the demand for more gun control following the horrific church shooting at the First Baptist Church of Sutherland Springs, Texas. They know that these tragedies are used as a pretext for more gun control. It should be noted that the killer was convicted at a General Court Martial of a crime of domestic violence and had escaped from a mental institution. Both of these made the killer a prohibited person forbidden to own or purchase firearms. However, neither were reported to the FBI NICS database and he went on to buy firearms at retail and "pass" the NICS check. We are deeply saddened by the loss of life and grieve for all those affected by the hand of an evil man in Sutherland Springs, Texas; indeed, we mourn for every man, woman, and child lost to unjust violence and unconscionable circumstance wherever and however they may fall. In the aftermath of the horrific and illegal premeditated killing at the First Baptist Church we see once more, and quite clearly, that only virtuous people bearing arms can effectively respond to those evil or insane people who, devoid of a moral core, take deliberate actions to kill and injure others when they are at their most vulnerable. And, too, such virtuous people are not limited to those in government service; rather, they are found in abundance throughout our great nation, standing as sheepdogs, vigilant for the cause of peace but prepared to defend life if needed, perhaps even at the cost of their own. In response to tragedy, some predatory politicians and others like them in the billionaire-backed gun control lobby have demanded, disingenuously, that those who advocate for individual freedoms must participate in some “conversation,” as if they are empowered to unilaterally compel their fellow citizens to do as they wish. But as the observant among us know all too well, their latent—and sometimes patent—desire is for no more dialogue to be had at all, simply that the Second Amendment’s core guarantees against government infringement be reduced unto a dead letter. We believe the only “conversation” that is genuinely pertinent to their efforts is set forth in Article V of the U.S. Constitution, which provides the process for lawfully changing the supreme document of our social contract. All other proposals turn on legislation wrought from the tyranny of the majority; administrative rules and regulations to expand their preferred bureaucracy; and lawless rule by now-fashionable ‘pen-and-phone’ executive fiat. As a reminder to all who promote such dangerous instruments to achieve their gun control goals: Any rule crafted to impinge on Second Amendment rights can just as easily be reframed to limit the rights you hold dear; any offense you might employ against individual freedom today will, at some point, become someone else’s incursion on another liberty tomorrow. If gun control proponents were honest—and they are by no means honest—they would admit what they really want when they demand a dialogue: for freedom advocacy organizations like FPC, and our law-abiding supporters, to concede ground to them on their terms, and with no reciprocation, so that they may more easily red-line fundamental, individual constitutional rights they do not like. We refuse to participate in their squalid process. We have no moral obligation to aid and abet our opposition, whether physical or philosophical, and we will not do so here. Law-abiding gun owners are not responsible for evil or insane killers who use firearms, just as peaceable Muslims are not responsible for radical Islamic terrorists flying planes into our buildings and killing thousands, slaying hundreds in bomb blasts, or even running over dozens with vehicles. As we have said before, we reject the notion that good people and our basic rights must suffer for the crimes of the wicked. We know that modern theories of gun control rely on the existence of three essential components to achieve, through force and attrition, the ultimate goal of a disarmed society: registration of people and property in persistent databases (through background checks and sale or transfer records); ever-expanding categories of prohibited people and items; and responsive confiscation of arms through law enforcement efforts. See, for example, California’s firearm regulatory scheme and associated APPS confiscation program or the New York SAFE Act. In the final analysis, all roads lead to confiscatory laws with criminal consequences. And those who advocate for gun control would see other peoples’ sons and daughters carry the personal risk of their unchained desire to re-create America into the authoritarian utopia they seek. To be sure, all constitutional rights have social costs, and the Second Amendment is not unique from other fundamental rights in that respect. But those considerations were weighed and the social interests balanced when we ratified the Bill of Rights in 1791 and, perhaps more importantly, upon re-affirming our commitment to those principles for all people in 1868 when we enshrined the Fourteenth Amendment and ensured their application to states and local governments. Because of inalienable human rights like the individual right to keep and bear arms, protected by the Second Amendment, the news media is free to report on uncomfortable or embarrassing matters of national security; editorialists are free to discuss, even encourage, the removal of a sitting president; and those who promote gun control, even in opposition to the ruling party, have the freedom to advocate for those views. The right to keep and bear arms, like freedom of speech and the right to due process, is a bright line rule that separates the people from servitude. Our nation’s founders wisely took great pains to protect fundamental rights like those contained in the First and Second Amendments in the very textual threads of our social fabric—not because they are benign, but because they are inherently dangerous and necessary to an enduring free Republic. We recognize that gun control is one growing front of a still-cold but increasingly bitter war between those who desire a powerful government that has the ability to control its people and those who value freedom and individual liberty. But an armed and prepared citizenry—indeed, the unorganized militia—is the first, and perhaps last, line of defense against the deranged, evil, and tyrannical. Accordingly, FPC believes that Congress should immediately work to remedy or repeal previously-enacted unconstitutional laws and expand statutory protections for those who would safely and responsibly exercise their right to keep and bear arms inside and outside their homes. Dozens of such bills exist today, and they should be passed and signed into law without further delay. Democrats live by Chicago Mayor Rahm Emanuel's aphorism "don't let a crisis go to waste" and they are wasting little time in using the church shooting in Sutherland Springs, Texas. Today, Sen. Dianne Feinstein (D-CA) introduced her new and updated Assault Weapons Ban of 2017. It goes well beyond her original bill from 1994. Not content to apply it just to rifles and carbines, it will also apply to semi-automatic pistols that include a threaded barrel. It would also mandate "safe storage" of existing firearms that would be covered under the bill that had been grandfathered. Finally, the bill will limit mag capacity to 10 rounds. You can read the entire 125 pages of the bill here. While it goes into great detail, Appendix A is rather meaningless as it lists the firearms that are exempted such as the single shot Ruger Number 1. There are no surprises on that list. Even Sen. Bob Casey (D-PA) who represents the relatively gun friendly state of Pennsylvania threw in with the gun prohibitionists a long time ago. I'm sure he rationalizes it by noting that Pennsylvania doesn't allow semi-autos for deer hunting. I haven't said anything on my blog about the shooting at the First Baptist Church of Sutherland Springs. Part of it because there is more and more coming out. Part of it is because I don't believe in instant analysis. Finally, part is that I spent the whole weekend taking Massad Ayoob's MAG-20 Classroom - Armed Citizen's Rules of Engagement and I am decompressing from that intense experience. I saw this tweet a bit ago. Former Bush speechwriter David Frum is calling for a lifetime ban on those who "raises a hand against a woman or a child". The anti's are saying some of the stupidest stuff. They are calling for new laws when the laws that would have prevented the church murderer from legally obtaining a firearm were already in place. The problem was that someone in the US Air Force screwed up and didn't report the results of the general court martial in 2013 to the FBI's NICS check system. Note that this screw up occurred during the Obama Administration. The first Friday in November has been Fountain Pen Day since 2012. It was started as a day to "embrace, promote, and share the use of fountain pens." 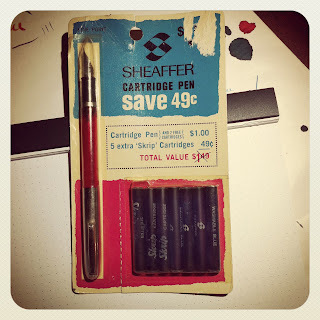 I have been using fountain pens off and on since elementary school where we had to use Sheaffer cartridge pens for penmanship. They came in a pack with five "washable blue" ink cartridges. Now I have a wide assortment of fountain pens in my desk, around the house, and elsewhere. Some are cheap Chinese knock-offs, some are older American-made Esterbrooks, some are various German-made Lamy Safari pens, and the list goes on. I even have a couple of old Parker Duofolds in the traditional orangish red with black end caps from the 1920s. I hope to have those restored sometime. I plan to celebrate Fountain Pen Day by deciding on which two or three fountain pens to take to this weekend's MAG-20 class to be held in Charlotte. From what everyone who has taken either the MAG-40 or the MAG-20 classroom portion has told me, you will be writing as fast as you can. 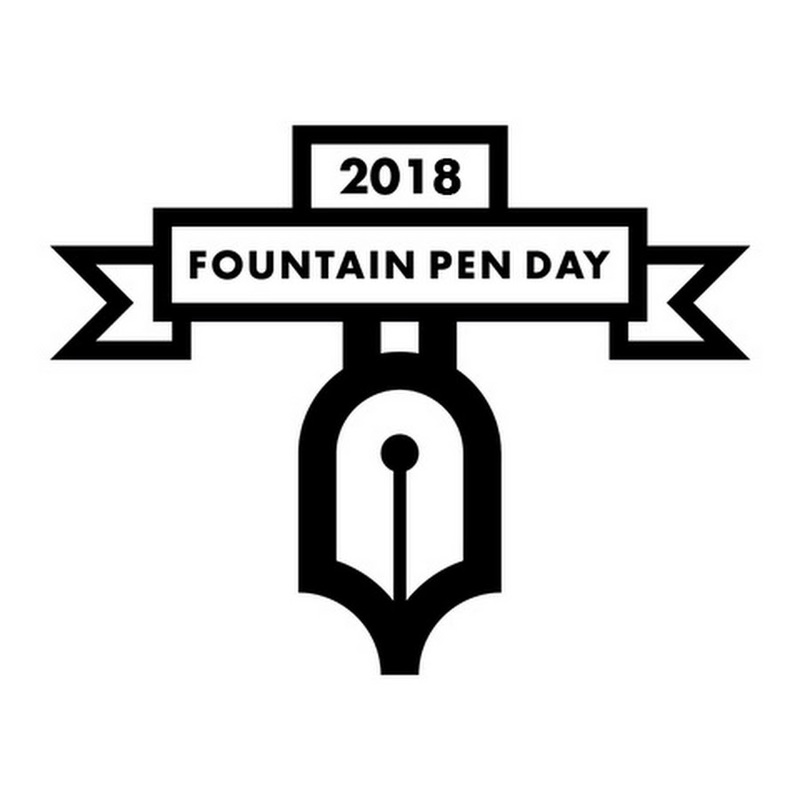 If you are thinking of trying out a fountain pen, now is a good day to do it as many vendors are offering specials in honor of Fountain Pen Day. You can find a list of them here. I can personally vouch for Jet Pens and Goulet Pen Company as I've dealt with them in the past. I found the following amusing though profoundly sad in its implications. At one time the FBI was a very respected institution. Lately it seems they are just another part of the politically-correct deep state who are more concerned with trapping Republicans for minor transgressions than in preventing honest to god, people are gonna die, terrorism. The Ruger SP-101 in 9mm Luger (or Parabellum) had become something of a cult favorite with prices to match. Possible reasons for this may have been it was discontinued in 1998 with limited numbers on the market or because 9x19 ammo tends to be cheaper than either .38 Special or .357 Magnum ammo. It was originally available in both the 2.25" and 3" barrels and used moon clips to hold the non-rimmed ammo. This week Ruger answered the prayers of those that wanted a SP-101 in 9mm but didn't want to pay twice the price of a .38 or .357 Mag model. They have reintroduced the SP-101 in 9mm with a 2.25" barrel. MSRP on the reintroduced model is $719 but I'm sure the street price will be significantly lower. Checking gunbroker.com, I see them being sold for as low as $519 plus shipping. I have a 3" SP101 in .357 Magnum that I bought used a few years ago. 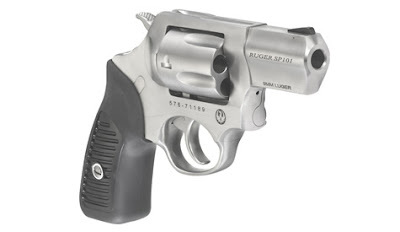 With .38 Special wadcutters, it is the ideal gun to introduce new shooters to a center-fire handgun. The weight of the revolver makes it a very soft shooting handgun. The new or reintroduced SP101 will definitely go on my "have to check it out" list.